Excuse me but what is going on here? I didn’t even know Shia LaBeouf and Mia Goth were on the rocks and now I need to wrap my head around a whole new relationship. Us Weekly confirmed on Tuesday that after filing for divorce from Goth, LaBeouf has begun dating the singer FKA Twigs, who was previously in a high-profile romance with Robert Pattinson (they were engaged). Twigs and LaBeouf acted alongside each other in the forthcoming film Honey Boy. 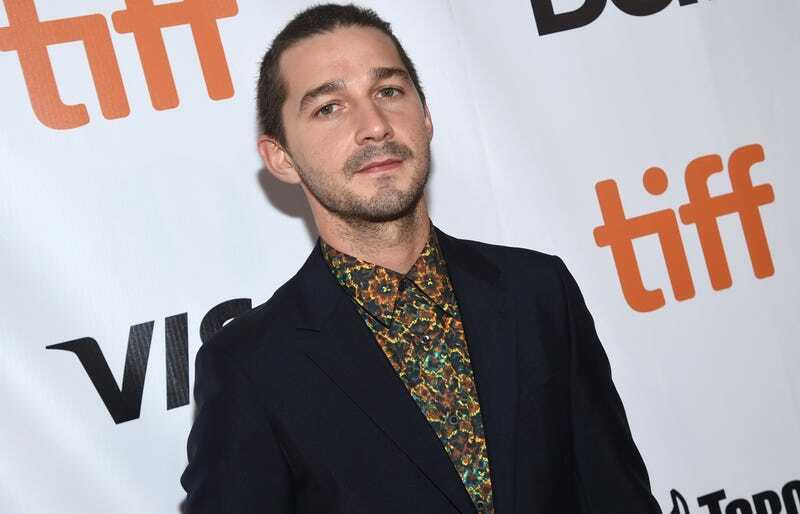 LaBeouf also wrote the film’s screenplay, which is based on his childhood, and reportedly cast himself in the role of his own father. The news of LaBeouf’s nascent relationship and divorce were seemingly reported at the same time. A rep for LaBeouf told Entertainment Tonight that the divorce is amicable and all details will be kept private. The Daily Mail was the first to report the news. Ariana Grande might be the new custodian of Mac Miller’s dog.